We recognize that the thought of planning a funeral can be very overwhelming for many people. Most of us are not prepared to plan and carry out a funeral ceremony for someone we love. And so much of the information available on this critically important subject fails to focus on what is most important: having a personalized, meaningful funeral that helps families and friends begin the healing process after a death. This site is intended to provide information so you can make informed choices and plan and experience a meaningful funeral to honor the unique life of your loved one. This includes information on our beautiful and durable memorial offerings as well as our trusted partners. Keep reading to learn more. 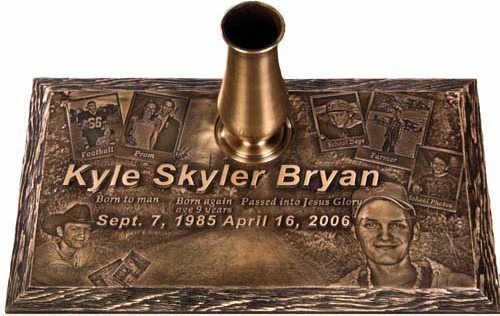 Bronze memorials are a personal, unique way to remember your loved one, and for our clients in the Waterloo-Cedar Falls, area, we can supply these beautiful markers for your gravesite. 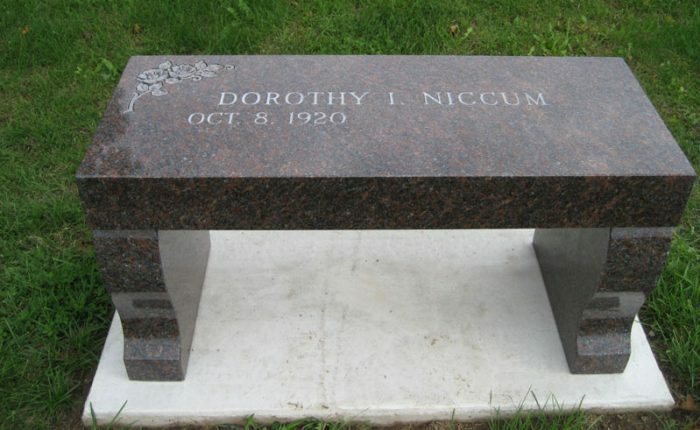 Bronze Memorials are typically flush to the ground and appropriate for cemeteries that don’t allow uprights. They can be highly personalized or simple and elegant. Parrott & Wood works with Iowa Memorial Granite out of Muscatine. You can view their website for ideas to get you started on designing this timeless memorial to a loved one. To learn more about the bronze memorial option, please contact Parrott & Wood today. We’ll provide information on pricing, selection, and more. 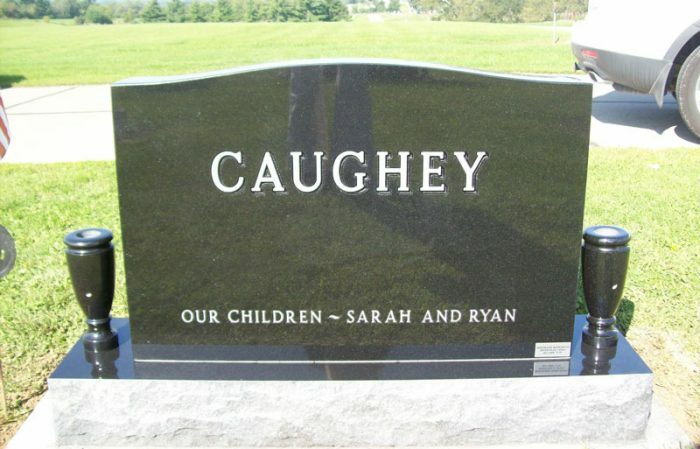 Upright granite markers are used for traditional cemetery memorials and feature many different styles and granite types, allowing for individuals to create a customized marker for their loved ones. We want to simplify this process for you, and that’s why we assist with marker design and placement and work with your chosen cemetery to ensure the marker fits their requirements. Your marker should fit the personality, life, and memories of your loved one, and Parrott & Wood is here to help make that a reality. 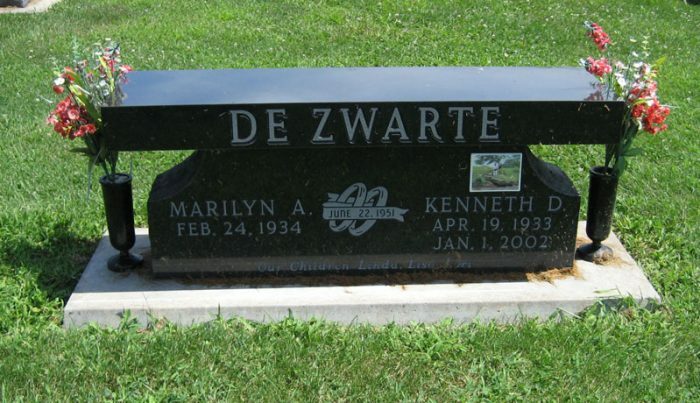 We can help you with granite markers in Cedar Falls and Waterloo, Iowa—contact us today to discuss your options or click here to view available markers from our partner, Iowa Memorial Granite Company. Cemetery benches are a popular, long-term memorial for a person, as well as a safe and durable way to store cremated remains. Your bench can be designed in a variety of fashions, including utilizing different sizes, types, and engravings. 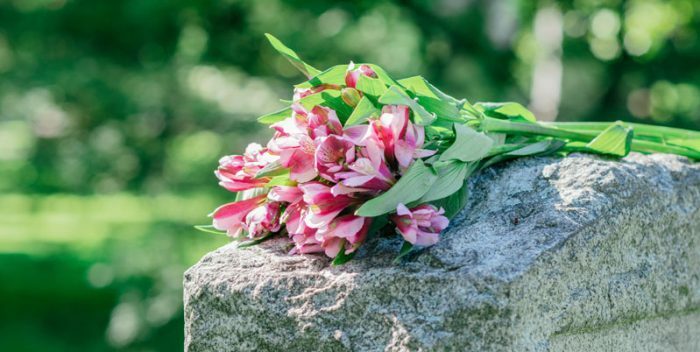 At Parrott & Wood, we supply made-to-order cemetery benches for the cemetery of your choice and will handle your bench order with compassion, understanding, and a commitment to customer satisfaction. We would be glad to discuss your cemetery bench options, including suppliers and available designs. Contact us today or click here to see the inventory of benches at Iowa Memorial Granite Company, our trusted partner. To help you honor a loved one and remember special days, Parrott & Wood offers our clients a Cedar Valley flower program. We will place flowers and other memorials on gravesites throughout the area on holidays, birthdays, and dates of death, including honoring deceased military members on Memorial Day and Veterans Day. With our graveside wreaths, you can also ensure an appropriate decoration throughout the Christmas and holiday season. Some days are special and deserve remembrance. We would be honored to help you place a beautiful memorial to your loved one at his or her grave on these days. To discover more, contact Parrott & Wood today. The Center for Loss and its director, Dr. Alan Wolfelt, is known around the world for his compassionate messages of hope and healing in grief. His site can be of great help to people who are grieving and are searching for information that can help them or a family member or friend during the healing process. Click on the image to visit the Center for Loss. Hy-Vee Floral is our trusted partner for flower orders. They are able to assist you with online ordering or call-in orders, without an up-charge. 100% of your money goes to the flowers you are needing. Select the image to find out more. Our funeral home works closely with the Iowa Donor Network. We value their work and willingness to assist your family in finding arrangements that suit your needs and we support the work of the network. If you have an interest in becoming a donor, you can contact the Iowa Donor Network or contact us. We offer the Batesville line of caskets and cremation products due to their commitment to providing a superior product to families in need. To learn more about the level of quality that sets Batesville caskets apart, click on the image. We are a proud supplier of Wilbert Burial Vaults, the nation’s leading vault company. Click on the image and see for yourself why Wilbert vaults have stood apart from the competition for over one hundred twenty years. 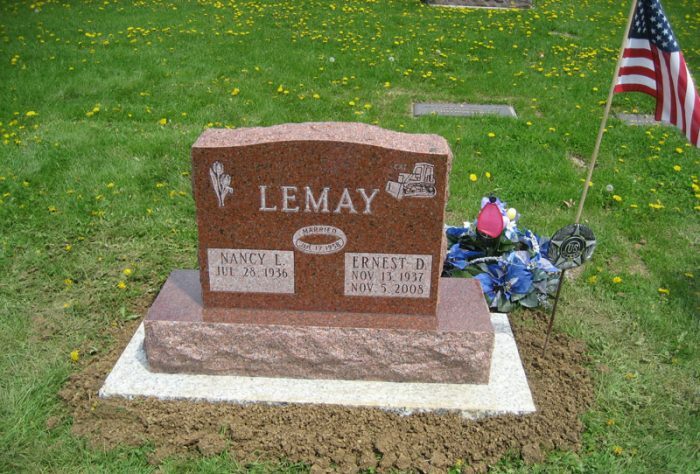 Serving eastern Iowa and western Illinois since 1943, Iowa Memorial Granite Company provides affordable, unique monuments in various shapes, sizes, colors and styles. Their expert staff are dedicated to customer service, and are glad to assist with your questions or concerns. Click below to learn more.